Glenn is beginning his fourth year as Director at Stafford Technical Center. He has been in Vermont since 1983 when he began his teaching and coaching career at Missisquoi Valley Union High School in Swanton. Glenn moved to Rutland High School in 1988 where he has served as a physical education teacher, varsity ice hockey and j.v. 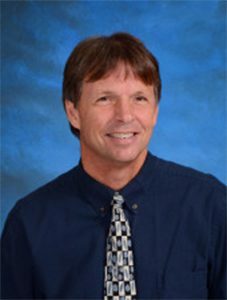 baseball coach, Athletics and Activities Director, and from 1995 – 2014 as an Associate Principal. He received his B.S. in Physical Education from Gordon College in 1983 and his MA in Educational Leadership from Castleton State College in 1995. Glenn and his wife have been married since 1983 and have 3 children. When not at work, Glenn enjoys spending time with his family, golf, water skiing, and visiting Cape Cod and the Adirondacks.